Thanks to the team at RangerCrew for the latest find via Instragram, the inclusion of a GokaiSilver suit actor spotted on a recent Power Ranger Super Megaforce filming The production for the second season started since last February with a lot of leaked photos of other past rangers in line with the franchise's 20th anniversary. 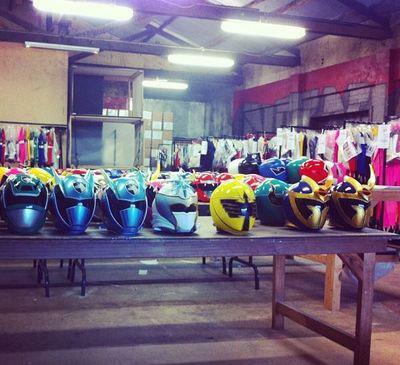 The photos confirms that the Gokaiger suits will be powerups for Goseiger suits. 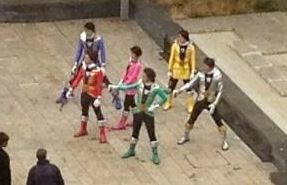 It is not yet been revealed how "other" Gokaiger suits will be incorporated in the adaptation. 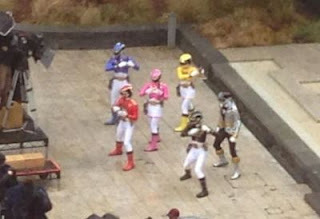 Previously it has been mentioned on Rangercrew that most likely only GokaiSilver will make its way to the second season of Megaforce. 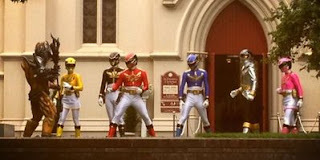 In addition only the adapted GokaiSilver will have the ability to use ranger keys for transformation.